Norwich held at home by Reading, while Sheffield United draw at Birmingham. Leeds stay second after winning on Tuesday night. Yakou Meite's 30th-minute goal looked like giving the struggling Royals an unlikely victory until late-goal specialists Norwich did it again. Centre-back Ben Godfrey produced a superb finish in the 86th minute to equalise and two minutes later Christoph Zimmermann put the leaders ahead. 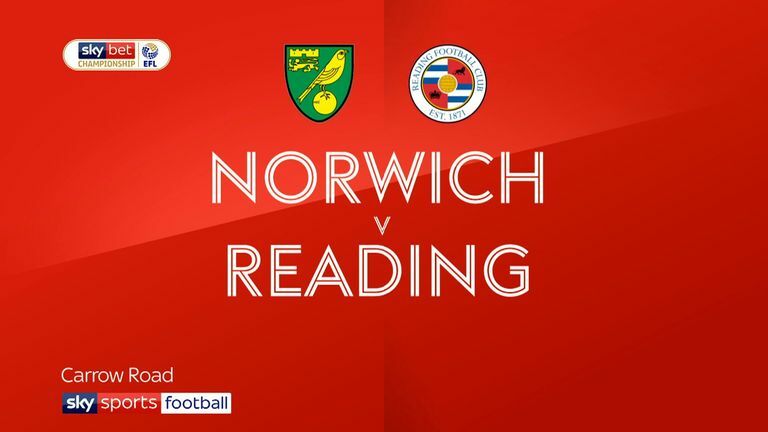 2:59 Highlights of the Sky Bet Championship match between Norwich and Reading. That looked to be that, but seven minutes into stoppage time Rinomhota guided the ball into the far corner, bringing Norwich's eight-game winning run to an end. Sheffield United had the chance to leapfrog Leeds into second place and close the gap to Norwich but they were held to a 1-1 draw by Birmingham. Enda Stevens gave the Blades the lead in the 38th minute but Michael Morrison levelled four minutes later. 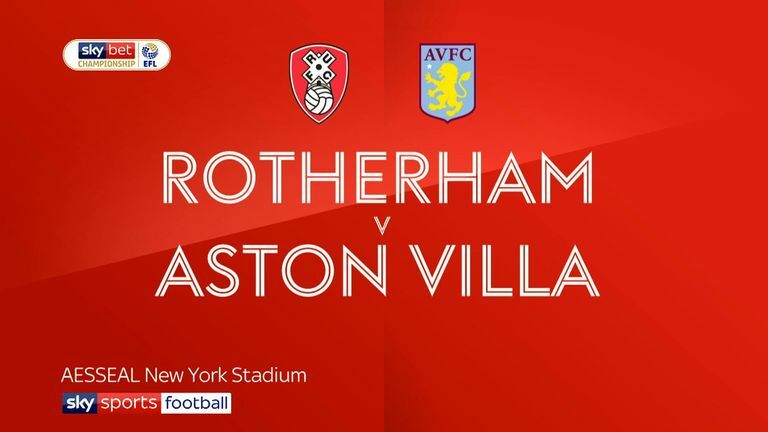 An eventful evening in Rotherham ended with 10-man Aston Villa securing a seventh consecutive win. Tammy Abraham's early penalty miss looked very costly when Tyrone Mings was penalised for handball in the other area and shown a second yellow card, with Will Vaulks converting. 3:28 Highlights of the Sky Bet Championship match between Birmingham City and Sheffield United. 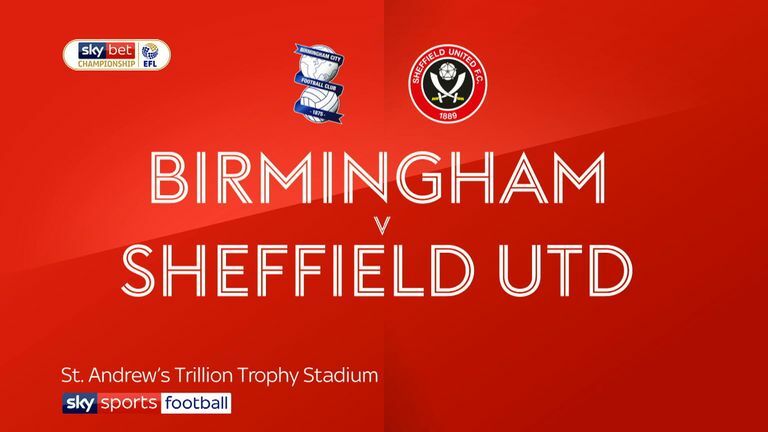 Highlights of the Sky Bet Championship match between Birmingham City and Sheffield United. But a third penalty was awarded just after the break, this time Rotherham defender Semi Ajayi being penalised for handball and Jonathan Kodjia succeeded where Abraham had failed. Three minutes later a fine individual goal from Jack Grealish put Villa ahead and they held on for a 2-1 victory. Brentford won for the first time in six matches, 2-0 against bottom side Ipswich, who are now hanging on to their Championship status by their fingernails. 4:50 Highlights of the Sky Bet Championship match between Rotherham and Aston Villa. Neal Maupay's 25th goal of the season in the 20th minute put the Bees ahead and Ollie Watkins doubled the advantage eight minutes later. An 89th-minute goal from Jordy de Wijs earned Hull a 2-1 victory over struggling Wigan, who had led through Nick Powell before Fraizer Campbell equalised. Millwall picked up a potentially valuable point in a 0-0 draw with QPR.